If you're looking to make room in your oven for more Thanksgiving dinner this year, may I suggest you make your turkey in a slowcooker? 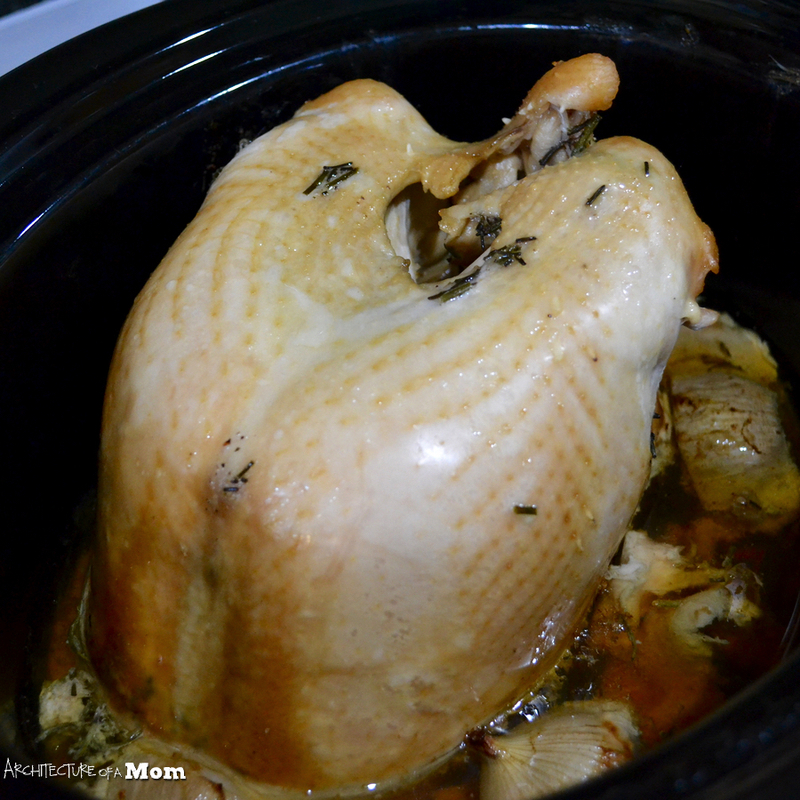 I have a large crockpot that easily fits a 7-8 lb turkey breast that is more than enough meat for around 10 people. 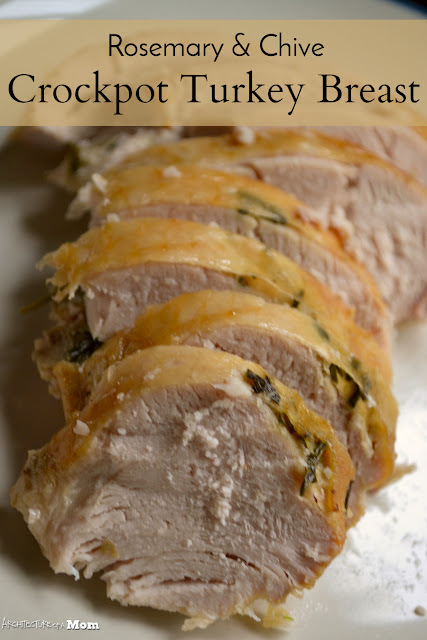 I've been making turkey breasts for a while, and I have to say that not having dark and white meat simplifies things tremendously, and cooking your meat in a crockpot not only frees up precious oven space, but reduces the chance that your meat dries out. Remove any turkey innards that might be in your turkey. 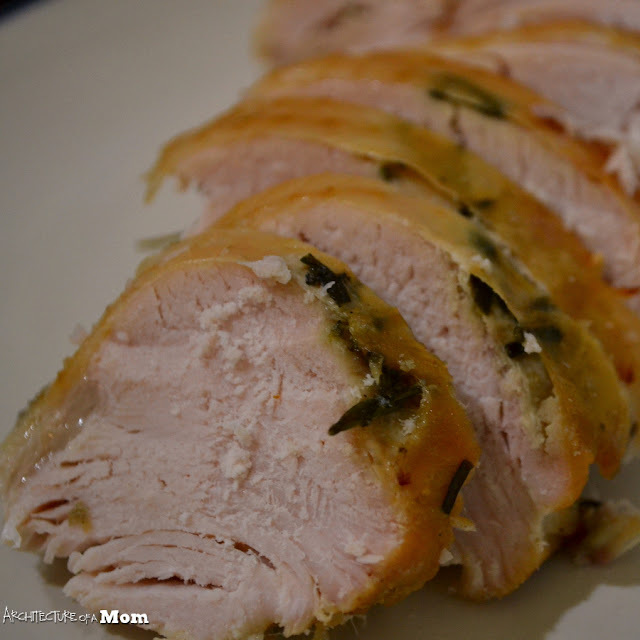 Loosen the skin on the turkey breast but do not remove. Combine the butter, garlic, rosemary, and chives. 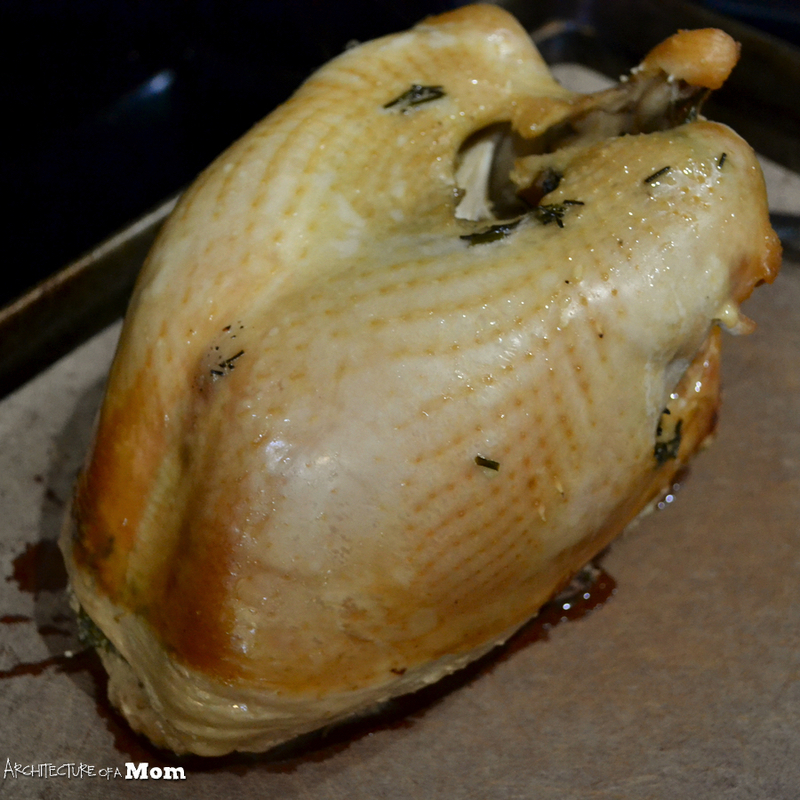 Spread the butter mixture under the skin onto the turkey breast. Place the onion pieces in the cavity. 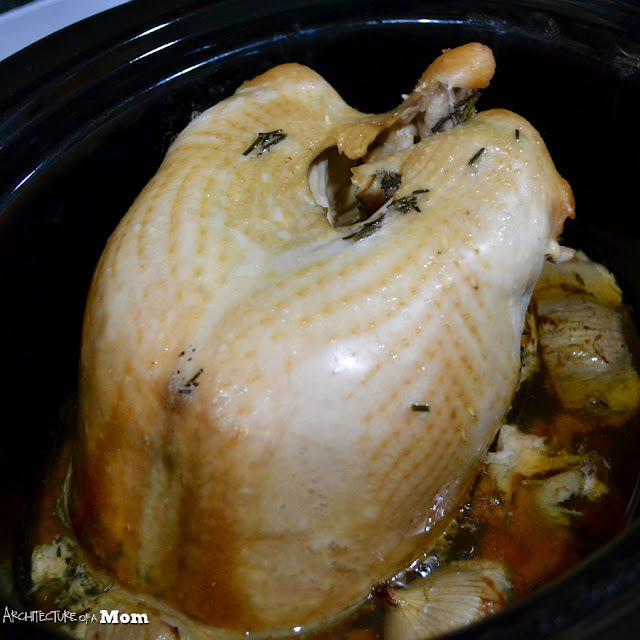 Place turkey into the slow cooker and pour the broth over the turkey. Cook in the crockpot on low for around 7 hours, until a meat thermometer registers 160 degrees F.
Remove from slowcooker and allow to rest for 20 minutes before carving.